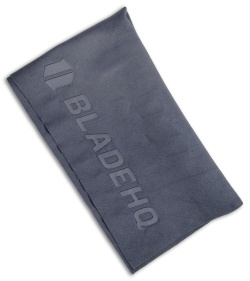 Keep your collection in top shape with a Blade HQ microfiber polishing cloth. 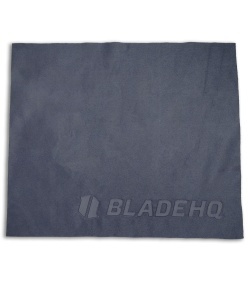 Each 13" x 11" towel is treated with anti-bacterial properties woven into the fabric for easy cleaning on the go. Perfect for cleaning knives, high quality optics, electronics and more! 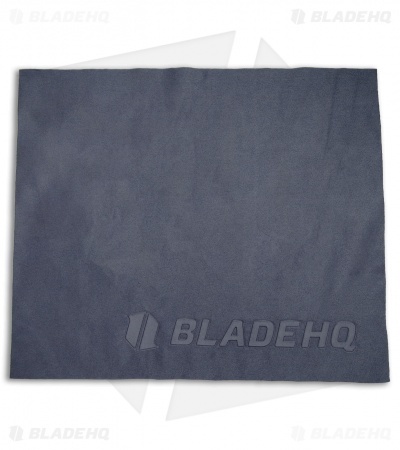 These ultra-fine cloths are machine washable for simple cleanup. Got mine for free with a knife purchase from BHQ but i'd gladly pay for it any day! Works great! I use with benchmade Bluelube and cleanser. This microfiber cloth works perfectly as expected. Really good at getting my CRKTs, Spydercos, and Kershaws really clean and shiny. I bought these because my knives gather dust quite a bit and I have to dust them and wipe fingerprints off about every two weeks and it works pretty good.